This is the next step after the New Zealand Diploma in Sport, Recreation and Exercise (Level 5) and will take your learning to a new level. You’ll complete courses on sport and exercise physiology, psychology, nutrition, legal and ethical principles for the industry and the role played by sport and recreation in society. You’ll also learn about advanced sports performance and exercise science. This programme provides students with an academic pathway into the sports science industry. More than 1700 Northlanders are employed in the sport and recreation sector, making it Northland’s 7th biggest industry by employment. All credits gained in this programme credits can be used towards the Bachelor of Sport and Recreation. This qualification will provide the Sport, Recreation and Exercise industries with individuals that have the in-depth knowledge and skills required to operate in leadership roles across the sport, recreation and exercise industries. Graduates will be able to operate within a framework of health and wellness in relation to individual, group and community needs. Graduates will contribute to the cultural, social and economic wellbeing of Aotearoa New Zealand. Provide leadership within the sport, recreation and/or exercise industries, based on the critical analysis and application of research, concepts and trends from across the industries. Role model, and mentor others in safe, ethical and professional practices and procedures within the sport, recreation and/or exercise industries. Provide strategic oversight and management to ensure safe and effective delivery of tasks and activities to achieve sport, recreation and exercise outcomes. Design, plan, deliver and evaluate a range of activities, programmes and/or events to meet the needs of a range of users in sport, recreation and/or exercise settings. 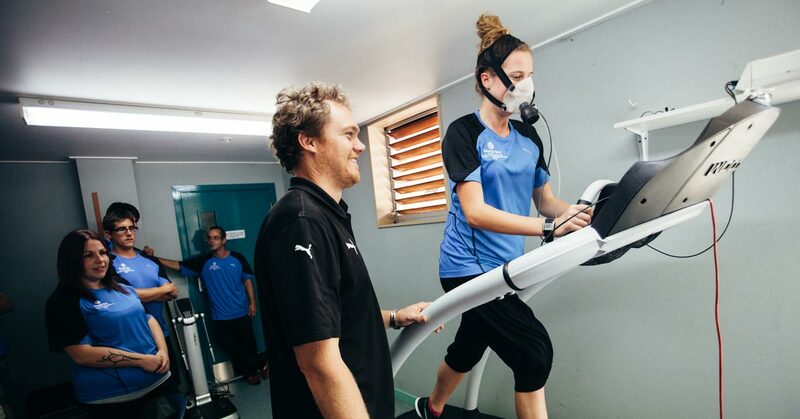 Analyse concepts and theories of exercise science to develop and evaluate health and wellness solutions to meet the needs of individuals, groups and/or communities. Manage, monitor and critically evaluate coaching practice in sport, recreation and/or exercise settings to recommend improvements to coaching strategies and practices. Aim: Students will gain an understanding of musculoskeletal structures. Kinesiology will be integrated for the applied study of human movement. Apply and integrate specialised anatomical terminology to describe the structure and movement of the human body. Analyse sport and exercise as activity in terms of musculoskeletal structure and function, health and wellness using research to influence analysis. Design, plan, evaluate and lead programmes for maintenance and rehabilitation. Aim: Students will extend existing anatomical and physiological knowledge with focus on response and adaptation to exercise. They will gain foundation knowledge in applied sport and exercise. Evaluate the physiological and mechanical determinants that influence muscular and metabolic responses and adaptations to exercise. Critically analyse muscular performance and training responses in muscle and cardiovascular. Compare and contrast specified tests for assessing an athlete’s condition. Interpret and discuss data from fitness testing results and apply them to an athlete’s programme. Describe and comply with the legal and ethical requirements of working with individuals. Aim: Students will develop applied skills in assessment, prescription and evaluation of safe, ethical and effective exercise programmes for muscular and cardiovascular conditioning, flexibility and body composition for a range of users. Design and demonstrate appropriate instruction for a range of exercises. Differentiate between various health and exercise assessments appropriate to practical setting. Design safe, ethical and effective exercise programmes, based on pre-exercise screening and interpretation of individual assessments. Mentor others in providing safe, ethical, professional practice using programme planning, design, delivery and evaluation to meet a wide range of users’ needs. Aim: Students will explore group and individual behaviour in contexts relevant to sport, recreation and exercise. They will apply modern behaviour models for the purpose of understanding, planning for, and facilitating change. Analyse and develop key concepts relevant to group and individual behaviour in a sport and recreation context. Compare and contrast a range of group and individual behaviours in sport and recreation using evidence-based theory. Integrate practical experience and observation with principles drawn from the appropriate behavioural models in order to plan for change. Design, plan and deliver programmes for groups and individuals using specialist knowledge. Work professionally with people within safe legal and ethical guidelines. Working with individual needs in the sport and exercise setting. Aim: Students critically examine key legal and ethical principles and their application to the provision of strategic oversight, management and leadership in the sport, exercise and recreation industry. Analyse legislation that relates to the sport, exercise and recreation industries in Aotearoa/New Zealand. Analyse and apply legal obligations relevant to the sport, exercise and recreation industry in Aotearoa/New Zealand. Compare and contrast the principles of ethical decision making for leaders and managers. Apply ethical decision-making in a practical context relevant to the sport, exercise and recreation industry. Aim: Students will critique and apply key nutritional concepts in relation to health and sports performance. Analyse key sport and exercise nutrition topics as they apply to the health and performance across a spectrum of athlete levels. Critique and personalise nutrition plans to suit the unique health and exercise goals of athletes. Analyse a range of dietary supplements and ergogenic aids. Design and lead nutritional information discussions for a range of athletes. Aim: Students will develop an understanding of how to access and interpret evidence as applied to the sport and recreation industry. They will apply this in work integrated learning focusing on leadership within the sport exercise and recreation industry. Analyse the investigative research process which generates evidence in sport and recreation. Evaluate evidence based leadership practice in an industry setting. Analyse and evaluate the integration of theory into practice for the provision of safe and effective delivery of tasks and activities. Aim: Students will develop teaching expertise around the facilitation of sport and exercise related skills through the application of contemporary skill acquisition theory as applied to coaching. Studies will focus on the synthesis of physical skill learning and key sport psychology skills. Coaching practice will be managed, monitored and critically evaluated in a practical setting. Evaluate and apply modern skill acquisition theory. Analyse the application of current sport psychology skills within a practice environment. Effectively guide and lead a skill focussed holistic learning environment. Lectures, tutorials, practicals, workshops with independent study and flexible learning strategies - Face to Face, Distance (Online), and Blended. Self-directed learning activities may include, but are not limited to: research, assignment completion, group work, practicals, reflection, and application of techniques. Graduates may be able to work in leadership roles such as: community sport manager; community health manager; event manager; facility manager; hauora or health exercise educator; outdoor educator; outdoor recreation manager; parks manager; recreation planner; recreation manager; sport director; sport Kairangahau; sport Kaiako; Whānau Ora manager. Graduates may also be able to work with workplaces such as: community health providers; community sport providers; outdoor education centres; exercise facilities; iwi organisations; local councils; cultural centres; outdoor pursuits centres; primary health organisations; regional sports trusts; recreation, sport and leisure centres. All applicants must have a level of English sufficient to be able to study at this level. Those students whose first language is not English should have an International English Language Testing System (IELTS) overall academic score of at least 6.0 with no band score lower than 5.5; or an accepted international equivalence or a qualification considered equivalent to the above. Bob’s subject expertise includes Sociology, Coaching, Skill Acquisition and Performance Analysis. Kelly has recently earned a place in the British Columbia Sports Hall of Fame for her achievements in rugby. I looked at other universities but this is the same degree with the same result and it’s right here at home. “I started working at Kensington Fitness in a customer services role whilst completing last year of my degree. In the final weeks of that year, an opportunity arose to step into a job as a Green Prescription support person. I was in that position for three years before moving in to Healthy Lifestyle Lead in 2017, and on to my current position as He Oranga Poutama Lead. Dylan Merritt says his job satisfaction comes from seeing the smiles on people’s faces as they improve their personal fitness and their lifestyles. Dylan leads bootcamps and personal training sessions at Whangarei’s award winning fitness studio, Activ8. Find out more about NorthTec's sport and recreation programmes. Jessica runs her personal training business, Results Rule, from a remodelled shed on a rural property near Kerikeri. “We’re meeting a gap in the fitness market and we get results, so the business just continues to grow.” Jessica Rule runs her personal training business, Results Rule, from a remodelled shed on a rural property near Kerikeri. “Both the business and the premises have evolved but what we do is working.” To validate that, Jessica was awarded Up and Coming Personal Trainer of the Year in the New Zealand Fitness Awards for 2013. “I spent most of my adult life unhealthy and overweight. I then got fit and healthy. Creating better lives for the people of Te Tai Tokerau through education, sport and wellbeing is the strategic aim of a Statement of Shared Objectives (SOSO) agreement between NorthTec Tai Tokerau Wananga and Sport Northland. Super-fit learners from two Whangarei schools worked up a sweat when they fought it out at the inaugural “Battle of the Fittest”, organised by NorthTec sport and recreation students.